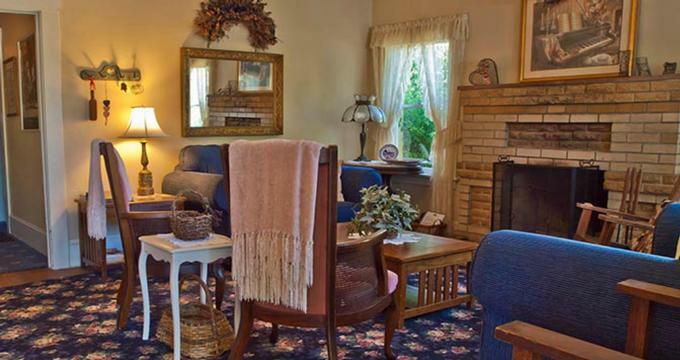 Shady Oaks Country Inn is a charming bed and breakfast in St. Helena in the heart of California’s Napa Valley. Resting on two acres of rolling landscapes in the midst of some of the region’s finest Winelands, Shady Oaks Country Inn offers a tranquil and personalized experience with luxurious accommodations, upscale amenities and facilities, award-winning cuisine and excellent wines, and spectacular natural scenery. Shady Oaks Country Inn features beautifully appointed and individually decorated guest suites, one of which is located in the single story main house and two in the double-storey winery portion of the home. Each suite features comfortable pillow-top beds in luxury linens, en-suite bathrooms with walk-in showers and soaking tubs, fresh towels and deluxe bath products, and spacious sitting areas with lovely views. Modern amenities include air conditioning and heating, flat screen televisions with cable channels, alarm clocks, coffee makers, hair dryers, irons and ironing boards, and complimentary high-speed wireless Internet. Once part of the original winery, the Winery Retreat exudes the ambiance of a villa in the south of France with stone walls dating back to the 1800s. The elegant room features a private entrance, a romantic bedroom with king-size bed with luxury linens, an enchanting fireplace, oak dresser, antique armoire, and tapestry loveseat, and an en-suite bathroom with a bathtub and shower. The Sunny Hideaway is a beautiful two-bedroom suite with a four-poster bed with luxury linens, a romantic fireplace, an en-suite bathroom with a walk-in shower and claw-foot bathtub and a private deck entrance. The Rose Room exudes old fashioned elegance with a beautiful hand carved oak queen-size bed with luxury linens, a romantic fireplace, antique armoire, and tapestry love seat, and a large en-suite bathroom with a bathtub and walk-in shower, fresh towels and deluxe bath products. Large windows embrace beautiful garden views. A gourmet Champagne breakfast is served every morning and includes freshly brewed artisan coffee, home baked croissants, fresh fruit, Belgium waffles, eggs Benedict, fresh juice, and Champagne. During winter, breakfast is served in the fire-warmed dining room and the warmer summer months, on the outdoor patio, which features Roman pillars from the 1800s and a century-old Wisteria vine. Guests can enjoy cheese and wine tastings on the outdoor patio every evening, featuring premium wine selections from the surrounding Napa Valley. Shady Oaks Country Inn offers an array of upscale amenities including gourmet Champagne breakfast served every morning, cheese and wine tastings on the outdoor patio every evening, personal concierge services, a bocce court, and complimentary wine tasting coupons for the small on-site award-winning Tangled Vines. Owned by Shady Oaks host John Runnels and his partner, John Lansingh, the winery has been producing award-winning wines for more than 20 years. In addition to producing world-renowned and award-winning wines, Napa Valley is packed with an array of attractions and activities, ranging from hot air balloon rides, river cruises, hiking trails in the Bothe-Napa Valley State Park, wine-tasting, horseback riding, shopping in St Helena, and dining. Shady Oaks Country Inn offers a wide variety of packages to enhance every Napa Valley stay, including the Napa Valley Winter Getaway, the Wine Country Romance Package, the Wine Country Spa Package, the Wine Country Tour Package, and discount tastings at Tressabores.